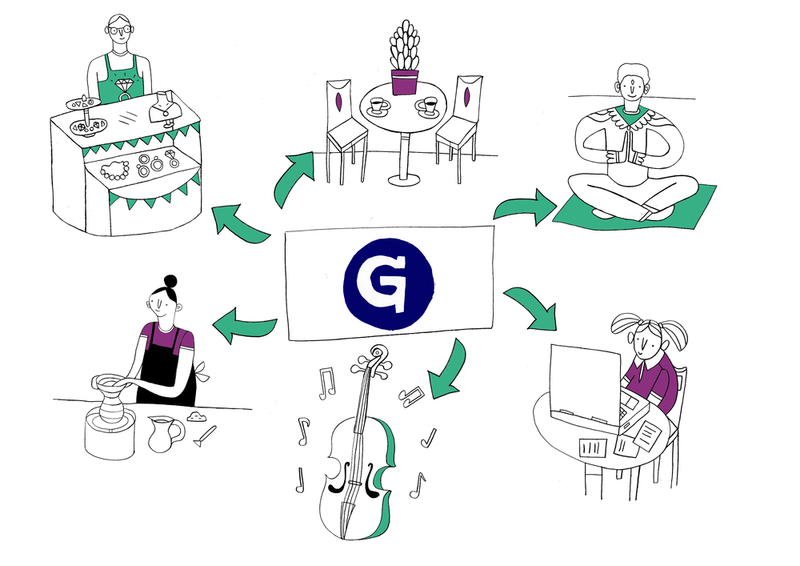 Goodmoney CIC is a social enterprise that launched a local gift voucher scheme to help keep the money spent in Brighton, stay within Brighton for longer. We think they’re ace so asked them to write a blog explaining how they can benefit local businesses. We love our city and all the incredible independent businesses that come with it. But with rents increasing and a consistent squeeze on the smaller players, it becomes harder for them to stand up next to the bigger national chains. We wanted to do something about that, so we set up Goodmoney CIC in 2015. As a Brighton-based social enterprise, our vision is simple… a new kind of financial services organisation that helps to create thriving and resilient local economies. How exactly do we do this? By making the amazing things that are happening locally more visible, and by strengthening the connections within our community to make it easier to buy and give locally. If you’re a local employer, did you know that you can give each member of staff up to £50 worth of Goodmoney gift vouchers, without attracting income tax or National Insurance contributions? To qualify for HMRC’s Trivial Benefit allowance you just have to make sure the gift is neither linked to performance, nor included within their employment contract. 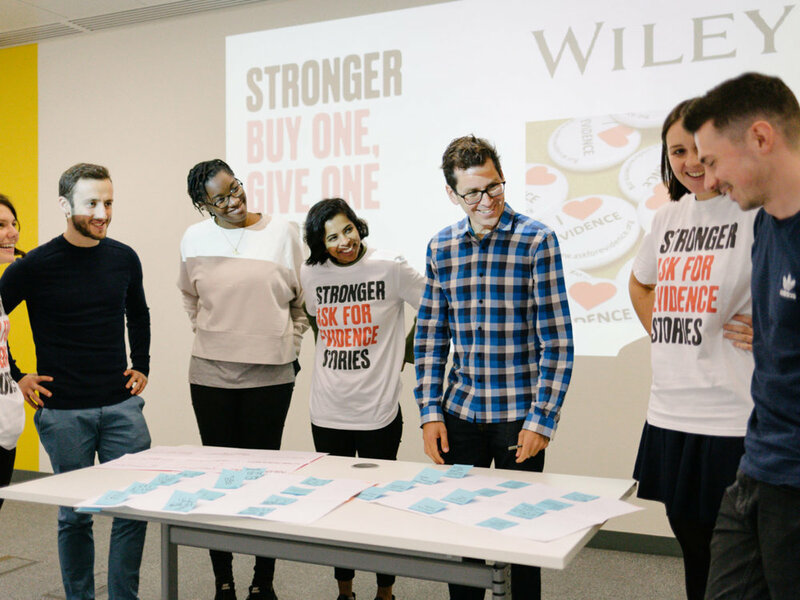 We have collaborated with Brighton-based marketing company Stronger Stories to offer free workshops to our members, helping them to create and tell their stories. It’s totally free and only takes five minutes for your business to join Goodmoney and be part of our local gift voucher initiative, helping new people discover you! Goodmoney gift vouchers can currently be spent with over 150 amazing independent shops, cafes and restaurants, sports clubs, kids clubs, music tutors, local artists and many more. In 2017 we secured funding from Creative England to build a technology platform that will enable us to introduce a range of new digital products and services, allowing Goodmoney CIC to grow and support more local businesses. An estimated £20 million is spent annually in Brighton & Hove on gift vouchers and gift cards. This goes straight into the coffers of high street chains. Goodmoney gift vouchers redirect this money to independent businesses where it stays in the local economy for longer. Woop! They are available to buy from our online shop, which we also use to help smaller local charities to sell fundraising items such as greetings cards from the Hummingbird Project. If you have any products or services you’d like to donate, this is something we can help with too. We take just 5% commission on any gift vouchers that you accept – meaning you receive £9.50 for every £10 voucher that you redeem. There’s a lot we can do to support local businesses, so if you’d like to know more about any of the below, please email: Dan or Mick. Collaborating with other businesses to create promotional multi-merchant gift schemes – for example a gift card that can be spent with a choice of local restaurants (the most popular area of spend for our vouchers!). Being able to more effectively use your spare capacity to support local charities and other good causes. Being part of focus groups, interviews and workshops to explore the new technology that could further support Brighton’s economy, businesses and charities. Sign up for free here. You can buy Goodmoney vouchers online or from The Bevy pub and City Books. Meet Scott Baker Properties: Property master minds, property developers and investor, comprised of Niall and Matt. Scott Baker Properties is relatively young, just under 2 years old, how is it going and can you tell us a bit about the ethos and the motivation behind building a property company? Niall: So, I guess the main reason for doing it in the first place was to get an income, pay for our bills and our lifestyles. Matt: I fell into it by accident almost four years ago. I was looking for ways to grow my music school business in Oxfordshire so went to a business growth seminar. At that seminar there was a speaker speaking about starting a property business from scratch and that sounded like it had more legs, more of a long term growth plan. In the music business it’s harder, exchanging time for money. Niall: When matt was at that event, the lady speaking had a property training course, which we both attended and was how we met. Got some education first and foremost, taught us how to do it properly, then business and the friendship evolved over time. Matt: Despite the business being only two years old, we’ve been working together and buying property for 3 years. 14th Feb 2016 was the first one, Valentines day! So Matt you are also a jazz pianist, who are the musicians that inspire the music you write/play? Matt: At the moment, I am working on some afro cuban music, so am inspired by Cuban and African musician, Ruben Gonzalez, from The Beuna Vista Social Club. That has inspired the stuff I’m currently working on (name to be decided). We’re halfway through recording an album at the moment, which will be done in spring. As a pianist my main inspirations in jazz: Chick Corea, Herbie Hancock. I’ve been playing jazz since I was 16, I love it. Not just jazz though; I was a session musician, so I’ve played rock, pop, soul, loads, over the past few years. Do you enjoy playing music more now that you don’t do it as a profession? Matt: Interesting question. I have choice in what I do now, I don’t have to do the wedding gigs, the function gigs; that can be soul destroying, as a lot of bands are underappreciated. My musical goal is to create and play original music that I’ve had a hand in creating. I don’t have to make money in it, so it frees up creativity. And ironically, means it’s more likely to be more successful. When I finally finish it, might take 2 years to actually do it. Niall, what do you do in the way of hobbies? Niall: I like Bikram yoga and hot yoga. But really, I'm a bit of social butterfly, so I just like being around people a lot (Matt gestures drinking a pint). So, that’s what I spend most of my time doing when I’m not at work, normally over a beer. I do like a long walk, I climbed Mount Kilimanjaro last year. We’re also discovering skiing at the moment too, we’ve got a trip planned soon with some other property developers. What keeps you both sane and how do you balance work, family and leisure? Niall: For me, the person that keeps me sane is my partner, Alex, he’s the voice of reason. He’s not into property and I’d say he’s more measured than I am. He’s my voice of reason if things are going wrong. The whole reason of moving into the office here was to make the work life balance a bit more structured; close the office door and leave it behind. When you’re self employed the temptation to work all day and all night can be overwhelming. Matt: We got into property to be financially free, but we’ve actually just created a situation where we’re back in the office on a 9-5… So the office, and netflix. I suppose the other thing would be sitting playing the piano, which I don’t do enough. Any past errors you wish you could erase or won’t be repeating in a hurry? Matt: One was doing a project without a project manager, would not do that again. We are hands off investors, therefore we need someone to take the reigns for it. Niall: We need someone on the ground to report back to us, we have builders of course, but to have a project manager this is a necessity. We have so many projects on the go at one time, we need people to manage these for us. Naill: We’re quite well planned, we did our resolutions in October. We went on a business retreat then and we set our goals then. We came into the new year already prepared on the business side. The business goals are: grow the portfolio by 96 rooms this year, it’s called project 96. We want to set up an LGBT friendly hostel, a safe haven for people to go to if they’re homeless or kicked out of home for whatever reason. Working with charities, investors, organisations that can help provide the services. Get experts in to do the rest. The otherside of business is helping landlords improve and grow their portfolios. We meet once a month at PLATF9RM (to start very shortly), for people who want to get into HMO and shared accomodation, or to improve what they’ve already got. It’s going to be education and accountability and support on a monthly basis. Matt: Personal ones, for me is flexibility and fitness. The standard. I’ve had back problems for a while, so to get that sorted. Naill: Mine is to get my fitness levels back. since Kili last year I’ve been getting fat, so to get back to where I was is my goal. What was the biggest challenge of 2018 and what helped you overcome it? Matt: A challenge feels like a challenge at the time, but we overcame that, so in hindsight, it doesn’t feel like a challenge. Last year I felt challenged a lot, but I couldn’t pinpoint it. Just growing pains. Niall: We had builders that basically walked off sight, because we got sent an invoice from what we thought was our building team and the invoice was paid and then we discovered that the invoice was a scam. So we had to raise finance for our builders as well as claim our money back from the fraudsters. The builders were aware of the fraud, but they weren’t patient and walked off site. Now in hindsight it seems insignificant. It was an important lesson. This is how we learnt we needed a project manager on site. Where do you see yourselves in 20 years time? Niall: I never know how to answer these questions. I enjoy what I do and I can’t see that changing anytime soon, working less maybe, but still doing the same thing. I am quite content to continue. Matt: Probably dealing with a family. I mean, enjoying time with a family… Probably being more creative musically, having a good creative catalogue. Projects and property will grow inevitably. Failure doesn’t exist, it only exists when you stop, hurdles are only to be overcome and lessons learnt. The INF9RMER Newsletter is matt-iculously crafted, lovingly nurtured, marinated in enthusiasm and cooked at 200℃ for 15 minutes, by PLATF9RM's Membership Assistant Matt. If you have any exciting upcoming projects within your company, would like to let everyone know how your business is progressing in some way, or have a future event coming up - then feel free to email Matt, drop him a message on Slack or come find him in person for a quick chat. Starting the year off with some classy editions - January's INF9RMER kicked off with Rachael Taylor from The Jewellery Cut Live telling us all about their goal to improve the jewellery element during London Fashion Week. Next up we travelled far out of Brighton to hear from Mike Shreeve, Helix HR as he filled us in on the recent educational improvement mission he was involved in over in Ethopia. Beer, beer... tasty beer - now I've got your attention, Chris Drummond from Good Things Brewing has announced that they are opening the world's first fully sustainable off-grid brewery in the next few weeks - exciting stuff! He's promised a trip up for PLATF9RM Members when all is up and running. Usually seen sauntering around PLATF9RM Hove with an amazingly colourful array of clothes, Rebecca Manley treated us to the inside scoop of her current work in progress, screenwriting for the BBC. 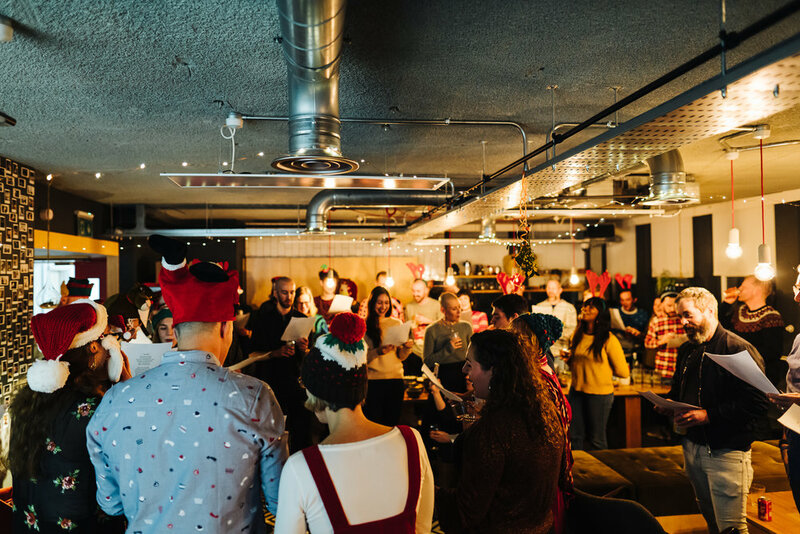 With their main attribute hidden in the name of their Company, the Think Productive team are hosting a party celebrating their tenth anniversary, alongside the fifth anniversary of Founder Graham Allcott's best-selling book How to be a Productivity Ninja. Delving straight back in to the Den of the Dragons with January's INF9RMER, this month Hazel Reynolds from Gamely told us all What Happened Next following her trip into BBC's Dragons' Den. Sophie Wilson and the Tuesday Media team celebrated a great first year along with an exciting array of new clients and PLATF9RM Hove welcomed Equal Experts with open arms, Hove's biggest office team to date. We finished off this year's opening INF9RMER with a sneak peak into Hove's Ground Floor, of which we are now arranging tours. If you would like to book in for a tour of the Ground Floor space, contact Jessica - exciting stuff! Thank you to everyone who put in the time to offer news for this month's INF9RMER, if you have something you would like to include for February then contact Membership Assistant Matt.